I always loved doing Mad Libs as a child … and have continued loving them ever since. Now that I’m a mom, I shared my love with my kids. Not only are they lots of fun and a great way to get some giggles, they are EXCELLENT for teaching the parts of speech. By making learning silly and fun, kids don’t even realize they are getting a grammar lesson. When I introduce Mad Libs to a child, I make sure I say, “A noun … like a person, place, or thing” or “A verb … a action word, something you can ‘do'” during first several times we go through a Mad Lib. The repeated practice helps them grasp the understanding of parts of speech quickly. 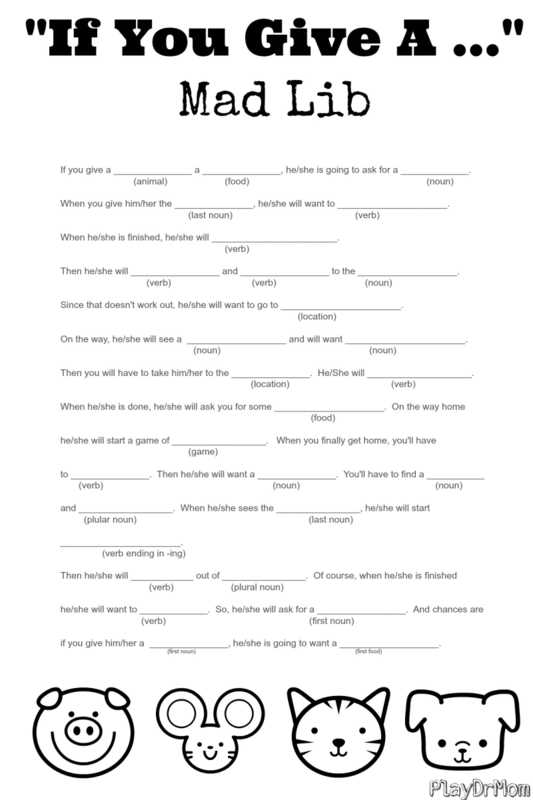 As we are focusing on books by Laura Numeroff this month for the Virtual Book Club for Kids, I realized that creating a Mad Lib in the spirit of her “If You Give A …” series would be pretty easy with the terrific repeating script that the series is famous for. 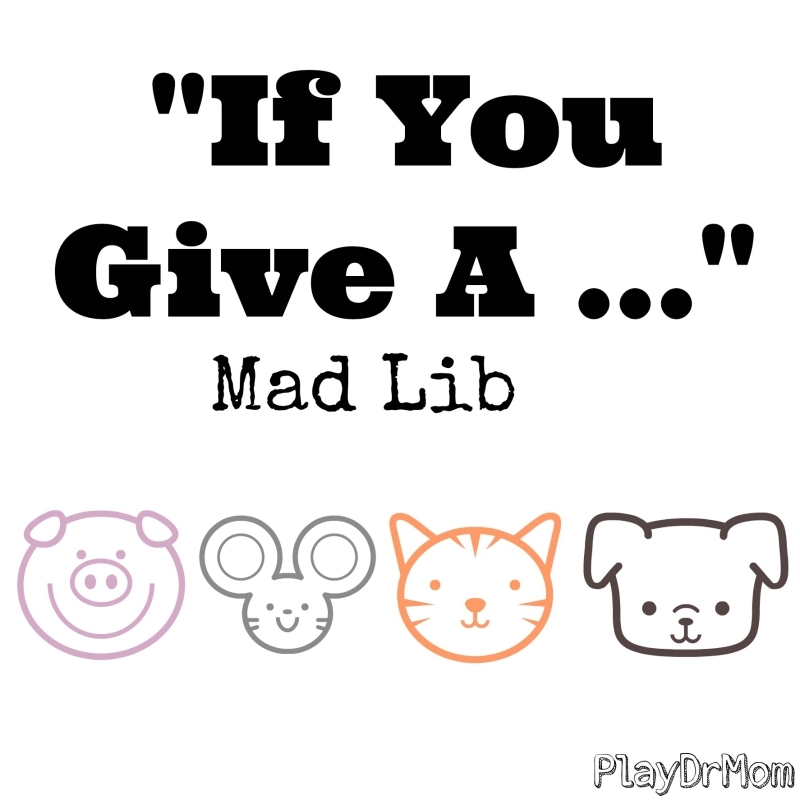 So, here it is …”If You Give a …” Mad Lib! Please feel free to click on the image and print it out for you to use with your kids! We’ve had lots of fun printing it out several times and coming up with lots of super silly versions. I hope you have fun too! I love mad libs! I also love that you’re talking about parts of speech. That can be so hard for kids! Even my middle schools students still get stuck sometimes. I want to try this activity with my son! Laura I love this idea! Thank you so much for sharing and hosting the Virtual Book club for Kids featuring Laura Numeroff this month ! You’re Family Night inspired by the Pig was adorable too! Can’t wait to print this off and use it with my kids. So clever! Thanks for sharing at After School!